Categories: 1 channel, 3,0 kV, 600 VAC/DC, Slim (6 mm), Isolators, No, Isolation Transmitters. 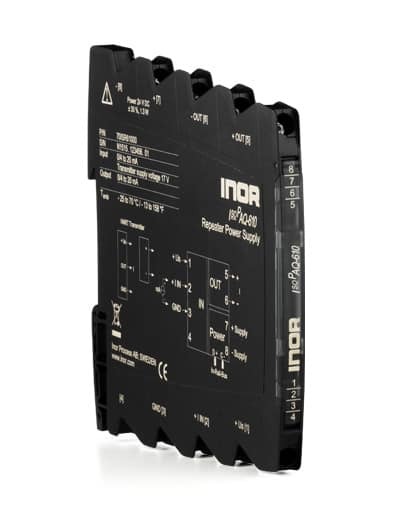 The Repeater Power Supply IsoPAQ-610 is used to supply and separate 2- and 3-wire SMART Transmitters and active sensor signals with HART communication. It supplies the transmitter with power and transmits the measuring signal with high accuracy galvanic isolated to the output. Alternative the measuring input accepts active 0/4 … 20 mA signals from 4-wire transmitters. 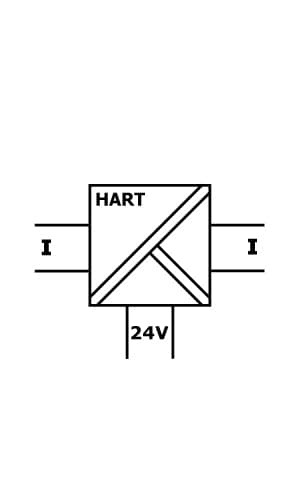 In addition to the analog signal, the IsoPAQ-610 also transmits data protocols for HART communication. It allows bidirectional communication with the field device from every point of the cabling. Protection against dangerous body currents Protective Separation by reinforced insulation acc. to EN 61010-1 up to 300 V AC/DC for overvoltage category II and contamination class 2 between input and output and power supply.